This will likely include Los Angeles firing head coach Luke Walton. Given the Lakers’ roster make up, it could also include adding two max-contract players to team up with LeBron James. At this point, we’re sure that King James will have some say in the Lakers’ off-season plans. How much remains to be seen. Looking at this and a whole lot more, we check in on players that the Lakers should chase after come summer time in Southern California. Former Pelicans general manager Dell Demps was not willing to move Davis to the Lakers. That became clear when Magic Johnson and Co. offered him the Godfather of all deals. Now that there’s a new brass in the Bayou, the Lakers hope to start anew in discussions relating to the embattled Davis. Any deal would likely have to include Kyle Kuzma and Brandon Ingram heading to New Orleans. The Lakers could add Lonzo Ball to the mix. But he prefers not to play in Louisiana. Jimmy Butler: An interesting fit for James. A lot of the focus in Southern California has been on adding two-guard Klay Thompson to the mix. Hate to burst your bubble. Thompson has already noted he plans on re-signing with the Warriors. Of the options behind Thompson in the free-agent pecking order, Butler makes a ton of sense. He might very well be the second-best two-way guard in the NBA. 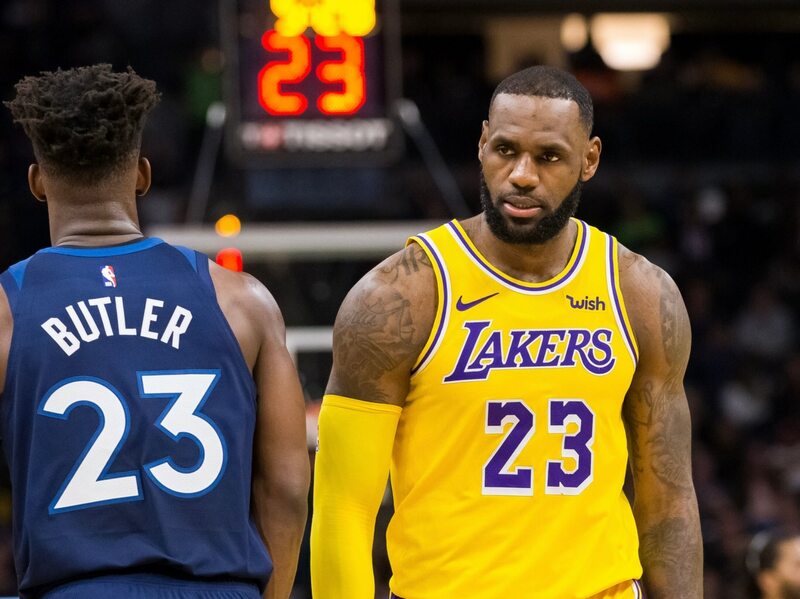 Teaming Butler up with James would provide the Lakers with some tremendous defense out on the wing. Butler can also knock it down from distance and create his own shot. Paul Millsap: That versatile forward next to the King. Millsap likely won’t come near earning a max contract. He’s the type of secondary player that could work wonders with James. At 34 years old, Millsap might very well take less money to chase a ring. While he’s averaging less than 13 points per game in 2018-19, there’s still a lot left in the tank. There’s a theme here when it comes to both Butler and Millsap. This four-time All-Star remains one of the better interior defenders in the NBA. DeMarcus Cousins: One Warrior that might get away. Cousins has noted he might take less to return to the Warriors. But based on his performance after returning from an Achilles injury, that’s hard to believe. Even then, the All-Star center might not be looking at a max contract. That would put LeBron and the Lakers in play. Cousins, 28, is averaging 16.1 points, 8.0 rebounds and 3.6 assists per game. He’s that inside presence James has never had. You might notice that we avoided point guard. That makes sense. Rajon Rondo can be the ball-distributing stopgap option for the Lakers. He fits well with what James does on offense. Los Angeles would have to find a backup if Ball is moved for Davis. In addition to adding Cousins, we’d like to see the Lakers re-sign JaVale McGee. He’s had a career season and deserves a role on the team.